Horror movies are my jam, especially a good slasher film or 80s horror. 9 times out of 10 if you ask me to pick a movie I will pick a scary one. Year round, I am always down for a good old horror movie marathon, but the best time of year to scare your pants off is October. This year I actually started in September and would watch 2-3 horror movies while finishing up my Halloween quilt. It can be frustrating to be a horror fan since a lot of what you watch is not great or only ok, but if you are willing to slog through some duds, you really can find some gems out there. 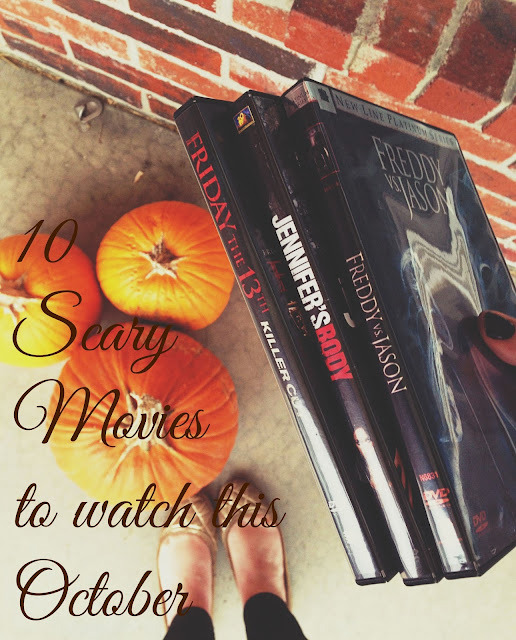 I thought it would be fun to pick 10 scary movies that I really enjoy and genuinely thought were creepy. So grab some wine, cozy up on the couch, and get ready to scare your face off! I saw this movie in theaters with my sister when Avengers was sold out. What a wonderful coincidence! I now own this movie and actually have watched it multiple times in one day before. Five friends going to a cabin in the woods seems like everything we've seen before but Joss Whedon once again proves he is the best by coming up with this really cool twist on the horror genre. I don't want to give too much away but it's genuinely scary and funny and basically the perfect celebration of the genre. My personal favorite slasher series on this list. I have watched the Scream movies more times that I can count. I will always have a special place in my heart for Freddy, Jason, and Michael Myers but Ghostface has my whole heart. This Wes Craven classic really did kind of rewrite the genre in a fun way that wasn't done before. Maybe fun campy genre busting horror is my thing? Anyway, it's worth it for the 90s nostalgia and opening Drew Barrymore scene alone. I actually found this movie on a list of horror movies available on Netflix last year and watched it with my roommate. It was terrifying. A found footage horror movie that is basically a movie about if interesting things actually happened on ghost hunting shows. Seriously creepy and probably not one you want to watch alone. 4. Nightmare on Elm St.
A serious classic. Freddy is my #2 boo right behind Ghostface. A few years ago my friend Jesse and I watched all the Nightmare on Elm Street movies and this once again shows what a genius Wes Craven is. If you haven't seen this classic, definitely add it to your watchlist. In my opinion it's even worth a rewatch if it's been awhile since you've seen it. Another found footage horror film, this was so surprising with how interesting and enjoyable it was. Found footage films have kind of saturated the horror genre and I feel like this one was different enough to stand out. It was creepy and the alchemy backstory was interesting. Along with the locations, it was a serious stand out for me. This is one of the creepiest movies I've seen in a long time. It was very unsettling and I actually had a nightmare after watching it (are you sold on it yet?). 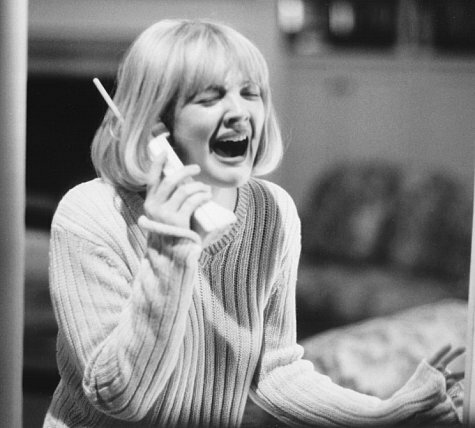 Even my boyfriend, who mostly only tolerates my horror obsession, was genuinely freaked out by this movie. I loved that there was not a use of "jump scares" which can really annoy me when overused. Maybe one of the best movies I've seen this year. As slasher movies go, I don't think this one is very critically acclaimed as being a must see. However, I found this to be just a fun movie that pits two of the classics against each other. I didn't think the premise of how these two came together was cheesy or as unrealistic as it could have been. 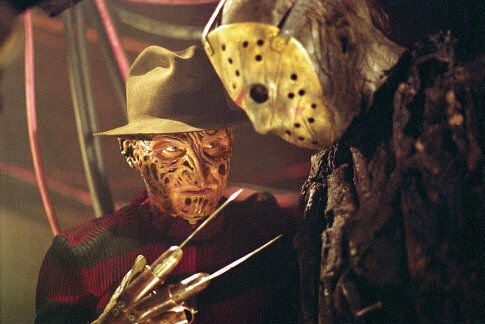 This probably won't scare you as much as some of the others, but if you are a fan of Freddy and/or Jason, you'll enjoy this one for sure. Another kind of twist on the genre, this movie actually caused my to throw wine in fear (yes, this is a thing). However, it was really cool that they kind of changed the game on how the Final Girl is usually used while also being creepy. 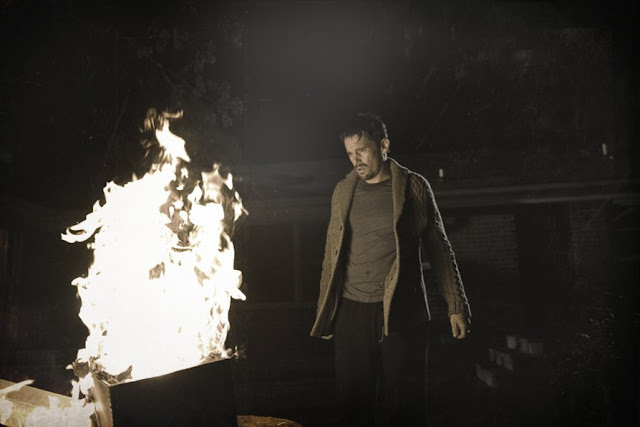 This is one in the same vein as Cabin in the Woods so if you like horror that kind of changes the rules as we know them, you'll like this one. A single mother and her son find a creepy book that brings the boogey man into their lives? Awesome. I found out about this one when Stephen King tweeted about it last year and if the King says it's good, you can't go wrong. This was another one my boyfriend really enjoyed and he doesn't enjoy many of the horror movies I make him watch. This is another movie I watched with my roommate last year that was genuinely unsettling. An author finds home movies in his attic depicting grisly murders of families after he moves his family into a house that one of the said grisly murders was committed at. This movie shows you some really creepy stuff and has kind of a steady build where you just feel the intensity just ramp up until the very scary end. P.S. I know that Friday the 13th and Jennifer's Body aren't on my list. I actually DO own at least 3 movies on this list, but in my hurry to take the picture for this post, I did not look very hard at the movies on my shelf. However, I still feel that Friday the 13th and Jennifer's Body are solid choices to add to the list. Don't forget that a lot of these websites featured here provide completely free trials that are a terrific means to have a look through their set of videos before committing long term. Learn more about mcbroomguitars on this site. Hey Friends, This is emily and I like to watch movie online in Hd at home wheneer i get free time from my work.More information on keyword on solarmoviecom.com. Movie watching access is wholly free there's no need to go for any type of registration on 123movies. Men and women wish to find films in theaters. rainierlandunblocked.net has more information on the 123movie. The manner that television is watched has completely changed over the last ten years, watch movies on solarmovies. A few of the sites on solarmovie eu in step 1 call for a registration procedure, but others don't. When you wish to watch shows you miss or even sports to watch on movie4kmovies.org, you will be pleased with the standard of high definition. There are lots of torrent websites which you'll be able to utilize for downloading your preferred movies free of charge. If you are more curious about watch movies online hd free then you can learn more about it on website. You're able to view live TV together with on-demand videos. www.rainierlandhd.net offers some in-depth insights on rainier land hd. It's about the script. 123moviesfun Streaming can be overwhelming so several choices. Heart-wrenching in addition to heartwarming occasionally, it still remains a re-watchable movie for the entire family. This site has more info about solar movie. Needless to say, since the nation is a favorite, a great deal of people would be considering learning the language. Click here to know more about Watch Full Old Yeller Free - Solarmovie.